Before she left town for a new job in a new state, my kind friend had me over for dinner earlier this summer. It was a dreamy evening filled with playing with her little son, picking figs from her neighbor’s tree, and visiting over a homemade meal. As I munched on the salad she’d made, I noticed some little slices of a crunchy white bulb that was aromatic and mildly sweet with a hint of licorice flavor: fresh fennel. There’s no doubt I enjoyed the fennel greatly in the salad, and before I knew it, I was recalling all the ways I’ve seen fennel: its bulbs thinly sliced on gourmet pizza, its stalks served like celery on a veggie tray, its seeds served to cleanse the palate after dinner at an Indian restaurant. But there was a gaping hole in the dessert department, and I couldn’t understand why. Delicately herbal and pleasantly mild, fresh fennel was an excellent candidate for something sweet. In a matter of days, I paired it with lots of lemon and made some of the most airy, tender cupcakes I’ve ever eaten. With its bulb in the batter and its wispy leaves in icing, fresh fennel had found its sweet spot. Preheat oven to 350 F. Line muffin pan with cupcake liners. Finely zest one lemon; set zest aside. Juice the lemon; strain and measure out 1/4 cup juice; you may need a second lemon to get this amount of strained juice. Cut the stalks and leaves off the fennel bulb; set the feathery leaves aside for frosting. (Use any thicker leafless stalks as you wish; they won’t be part of this recipe.) Rinse and dry the fennel bulb, then thinly slice off the hard, dark ring from its bottom; discard the slice. Applying firm pressure, grate the bulb with a sturdy standard sized (large hole) grater. Measure out 1 cup moderately packed grated fennel bulb, weighing about 4.5 ounces. Quickly place grated bulb in a small bowl and pour the measured lemon juice over it. This will prevent the fennel from turning brown while you make the batter. In a large bowl, beat the sugar, eggs, and melted butter well, until pale and smooth. Mix in the vanilla. Sift the flour and baking soda over the butter mixture. Mix, scraping sides of bowl often, until batter is even in consistency. Finally, add the fennel and lemon juice to the batter, and fold in the lemon zest. Mix until evenly incorporated. Scoop batter into prepared muffin tin, filling cups 1/2 to 2/3 full. Bake for 15 minutes; begin checking at the 12 minute mark. Cakes are ready when their tops are toasty and golden, and a toothpick inserted in the center comes out batter-free. Remove pan from oven and let cupcakes cool for just a few minutes in pan, then carefully transfer them to a cooling rack or a towel on your counter top. They will still be quite warm; I suggest using a large spoon to help move them. This step will help prevent oily condensation on the bottom of the cooled cupcakes. Let cupcakes cool completely, until they are not at all warm to the touch, before frosting. 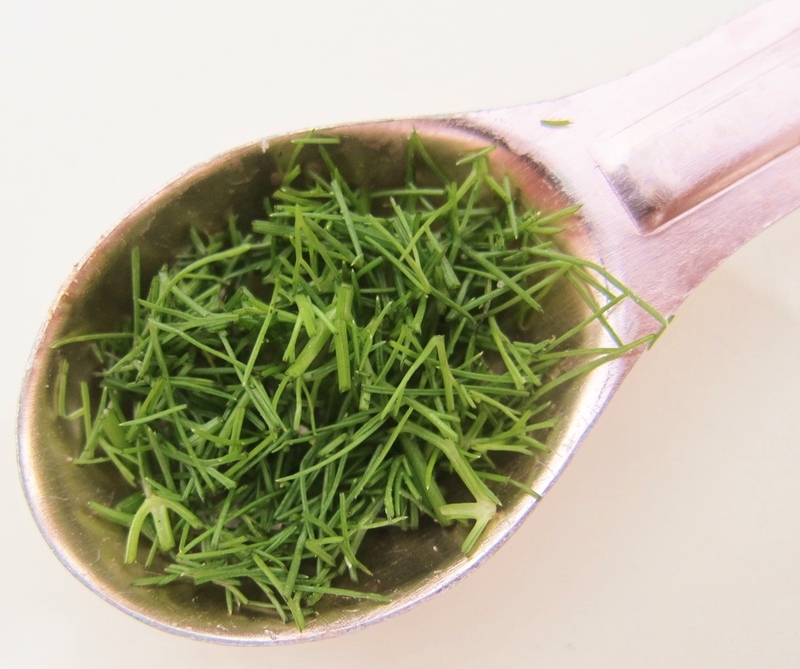 Rinse, dry, and very finely mince the ends of the wispy fennel leaves until you have 1.5 teaspoons, loosely packed. Set aside. In a large bowl, beat together the cream cheese and butter until smooth and even. Mix in the vanilla bean until evenly incorporated. Sift the powdered sugar and salt over the mixture, then beat, stopping to scrape bowl often. Keep whipping for several minutes to allow frosting to get fluffy. Finally, fold in in the minced fennel leaves with a spoon or spatula, stirring gently until evenly distributed. Refrigerate until ready to use. Pipe or spread frosting onto the cooled cupcakes, and devour. These fennel cupcakes offer a burst of lemon and a whisper of the fragrant herb within. Aromatic, light and airy, their citrusy sweetness is as refreshing as it is satisfying. While the delicate flavor of fennel is subtle in the finished dessert, its texture proves to create a deliciously spongy and tender cake. Longtime fennel lovers may now celebrate with cupcakes, while opponents of fennel may well be transformed upon first bite. Maybe next time… Fennel pairs well with citrus, and I’m certain a grapefruit or orange version of these cupcakes would be scrumptious. Here, lemon is the dominant flavor. I made a second version with the lemon toned down, so as to let the fennel flavor be more pronounced, but the result was not any more fennely and I felt it lacked overall flavor. I’ve accepted that raw fennel mellows when it’s baked, and I’m ever impressed with what it does have to offer to baking: subtle, pleasant traces of herbal goodness and a fantastic texture. Plus, this means you can serve the cupcakes to skeptics without mentioning the main ingredient. Having said this, if you want a stronger fennel flavor, you could add more fennel leaves to the frosting and batter alike, or add 1/2 teaspoon anise extract in the batter to echo the fennel’s licorice-like flavor. The lack of salt in the batter is intentional; it goes unmissed and lets the fennel shine in a sweet format, and there’s plenty of salt in the frosting — but if you want to add salt to the batter, feel free — a quarter teaspoon should be plenty. This entry was posted in Baking with Herbs, Baking with Veggies, Cakes & Cupcakes, Sweets and tagged baking, baking with herbs, baking with vegetables, cupcake, cupcakes, dessert, desserts made with fennel, fennel, fennel bulb, fennel dessert, fresh fennel, lemon, recipe. Bookmark the permalink. What a beautiful looking cupcake! Great photos too! Thanks, Katy! I’ve definitely fallen for it as a baking ingredient — the texture was amazing — but admit I do wish its delicate licorice flavor came through a little more. I love your ideas, too: the pesto sounds incredible, as does crunchy pickled fennel. Yum! Thank you, Cameron!� I only wish fennel’s fantastic flavor were more pronounced in the finished product, though it’s definitely proven itself an exquisite baking ingredient! 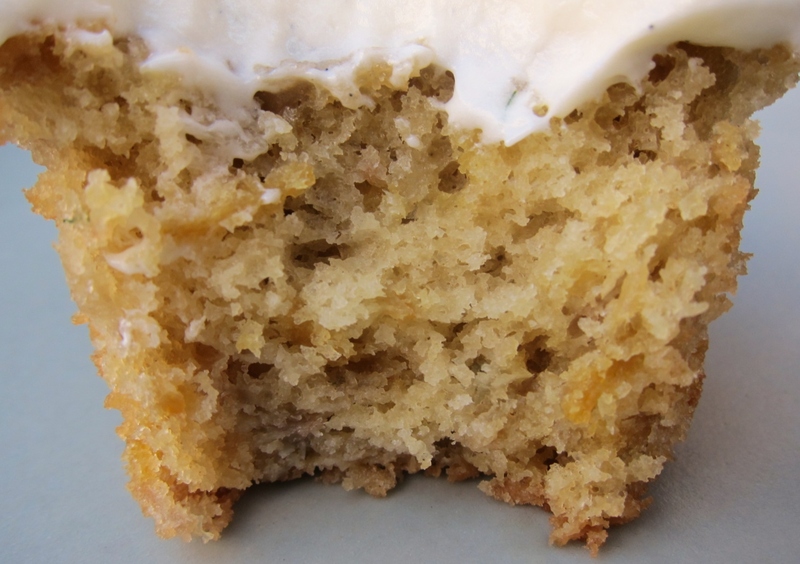 I never would have thought of putting fennel in a cake but it really sounds wonderful. I was never a fennel fan probably because of the cafeteria at work that seemed to overload fennel in everything. Sometimes a good thing can be too much. Wouldn’t have thought of using fennel, great idea. Good to know that you definitely need lemon or some other flavour too. I love Meyer lemons. Your cupcake turned out beautifully. What a cool neighbor! I love Meyer lemons so much I could just slice them up and eat them skin and all! You are right. They are sweeter and the skins are very soft. Thank you so much, mydear! I adore your bakes, too!